One of My Favorite Holiday Memories ~ The Day My Dog, Noel, Came Into My Life! I had just started seriously dating my future-husband, Michael, and he decided to bring me back home with him to introduce me to his family for Christmas. I had already met his parents a few months prior and now it was time to show me off to the rest of the clan. Christmas Eve is a huge event for Michael's family, for not only are they celebrating the holidays, they are also celebrating his father's birthday, who was born on Christmas Eve. Michael comes from quite a large family and they were having quite the shindig at his parents' house that night. There was plenty of food, presents and kinfolk there and as I recall, the weather was quite cold. We had all finished eating supper and everyone was busy socializing in the living room. I was sitting in a chair as far away from the door as possible, for every time someone would come in or go out, the cold winter wind would slip in and leave me chilled to the bone. The opposite side of the living room was the only place I could find to stay warm. All of a sudden, without any warning, I noticed that one of Michael's brothers opened the front door to go outside for a bit. As the door was flung open, a small, furry black dog came scuttling across the carpet. She had her nose, belly and every other part of her pressed closely to the floor as she moved as fast as she could. She made a beeline for my feet and laid right there wagging her tail like crazy. I thought she was the cutest thing I had ever seen and couldn't get over how round and friendly she was. I bent down to give her a scratch and she immediately rolled over so that I could scratch her belly too while licking my hand profusely. Being a huge animal lover, I have to admit that I was in love. Of course, because Michael's parents didn't have any pets in their home, I didn't want to get either Noel or myself in any trouble, so after a while, I let Noel back outside. She didn't come back in for the rest of the night. The next day was Christmas, and Michael's father and I went outside to share some of the scraps we had from last night's feast with the two dogs, one of them being Noel, who lived next door. Michael's brother, Ricky, lived next door and these two dogs were his. Noel was just a puppy, but the other dog was a large rat terrier who was three times the size of Noel. I noticed that when we threw the scraps out to the dogs, the rat terrier ate them all and didn't let Noel have any food. I also noticed that their water bowl was empty and so they were drinking from the water in the puddles outside. Upon closer inspection of my favorite puppy from the night before, I saw that Noel's round tummy was due to her being bloated, for her ribs were showing because she hadn't been eating properly. I can't stand to see an animal being mistreated, so I immediately went over to talk to Ricky and find out why Noel looked like she did. He told me that he had originally bought Noel for his son, but Noel peed in his son's bed and chewed up all of his video game cords. Ricky then told me that they had put Noel outside, hoping a wolf would just come along and eat her. I told Ricky that I thought that was cruel and unfair, since puppies need to be trained to live indoors, and I asked if I could have her instead. He said that was okay and I immediately snatched Noel up and brought her in to Michael's parents' house. Noel was an absolute joy and was so happy and grateful to have food to eat and to be out of the cold weather again. Upon closer inspection, I discovered that she also had a bad case of worms, so I took her to the vet the next day to be treated. Noel turned out to be the smartest, sweetest and most loyal dog I've ever had. She's been with me through thick and thin and there's nothing in this world I wouldn't do for her. I obviously named her Noel because she officially became mine on Christmas Day, which just goes to show that sometimes the best presents you receive, are the ones you didn't even know you wanted! I am sharing my canine holiday memory post in partnership with DogFenceDiy the invisible fence alternative. DogFenceDiy would like all dogs to have a very, merry holiday this year. 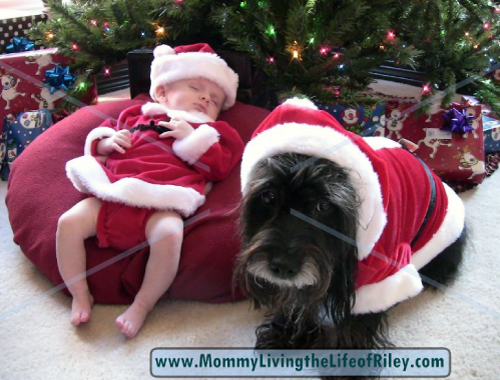 3 Responses to One of My Favorite Holiday Memories ~ The Day My Dog, Noel, Came Into My Life! 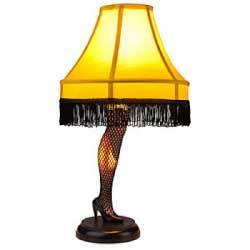 Have Yourself a Merry Little Christmas… And Don’t Shoot Your Eye Out!